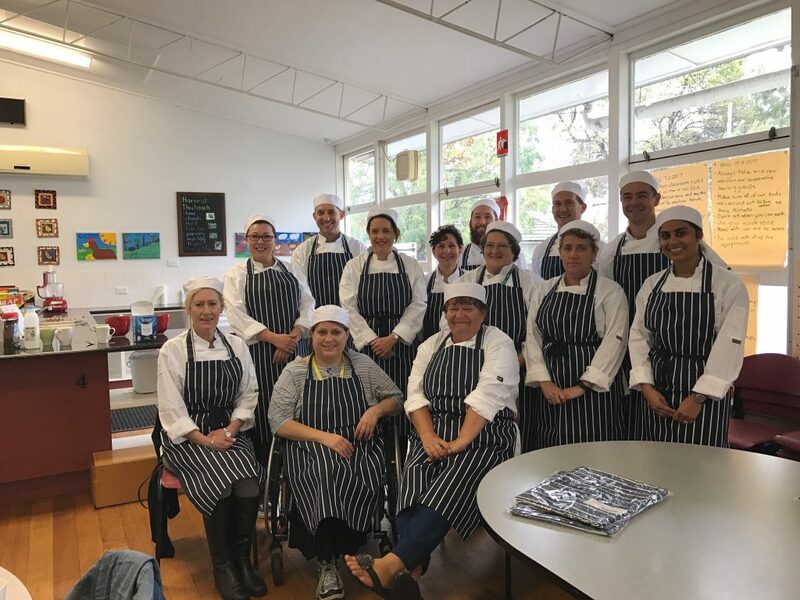 Corporate employees from Miele Australia and Full-time carers come together in the Kitchen Challenge to learn, grow and flourish. April saw the beginning of the first immersive and blended Kitchen Challenge with the visionary leadership team at Miele Australia. 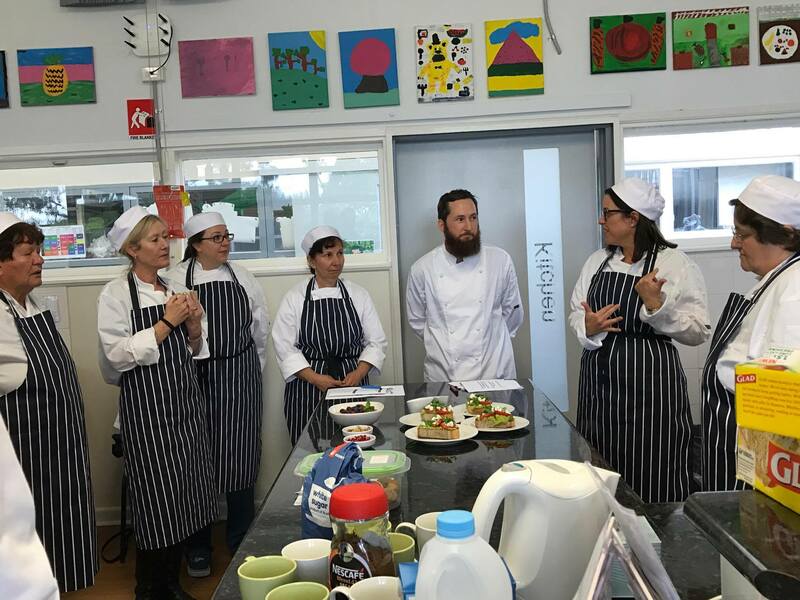 Blended Kitchen Challenge: Staff from Miele and Carers from Brimbank on day one of the challenge. 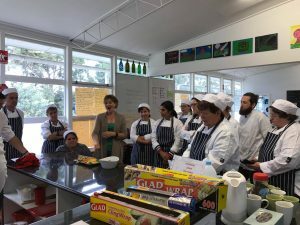 The team at Miele have joined together with awesome community members of Brimbank to understand collaboration, develop social impact and many individual goals for 8 weeks. 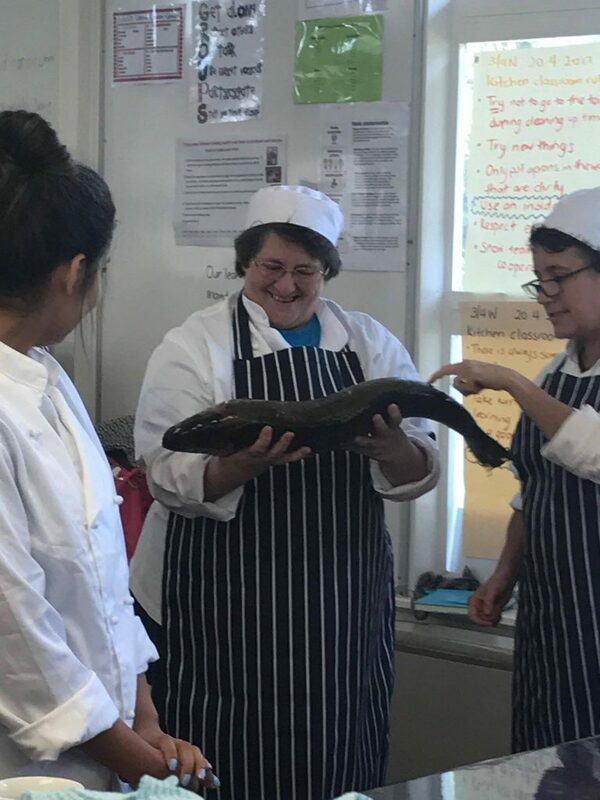 The Cohort had hands-on kitchen experiences from soda bread to filleting fish as well as learning to treat yourself right with Nutrition session presented by Alimentary. 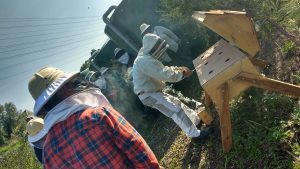 Additionally, participants moved even further out of their comfort zone with a Beekeeping session at CERES Environmental Park, Brunswick. Week two: Cohort 2 engage in a hands-on nutrition session with Ali from Alimentary. Fish Day: Peter from Miele filleting a fish, a newly learnt skill. Prep time: Renee preps vegetables for a culinary creation! 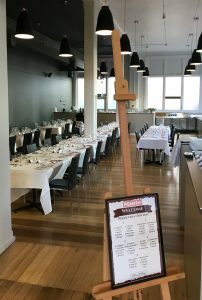 The final challenge, a “resturant session”, saw participants putting on a luncheon for friends, family, Miele staff and corporate clients. Participants branched into two teams in order to fully cater and wait the event. Front of house team leader, Luke McLennan, took great responsibility in leading his team to provide the best service possible to those dining. Throughout the challenge we saw tremendous growth in a number of participants leadership skills, particularly Luke, who exceeded expectations at the final luncheon. 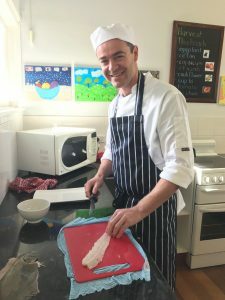 Head Chef, Scott Rundle, took charge of the kitchen and his staff, in order to provide delicate and delicious meals such as Ceviche of Market fresh fish with capers, herbs and dressed leaves. 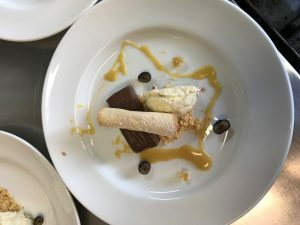 At the conclusion of the event the crowd favourite seemed to be the dessert: “Challenge Surprise” – a deconstructed snickers devised and developed by the whole challenge cohort. 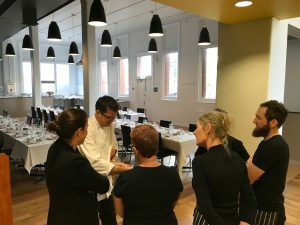 Final Challenge: Front of house staff (Sacha, Liz, Cindy, Luke and Doris) chat with Rob before the event begins. 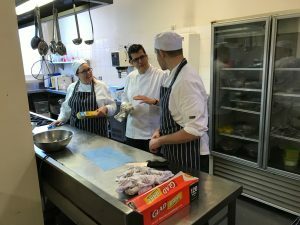 Back in the Kitchen: Stacey, Rob and Robin discuss strategy before the customers arrive. 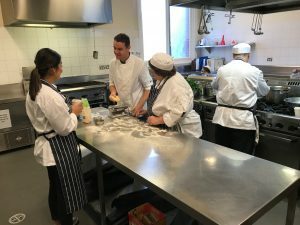 The Final Challenge: Resturant set by the front of house team. Kitchen Staff: Kriti, Peter and Jenny freshly make Spinach and Ricotta Tortelini. 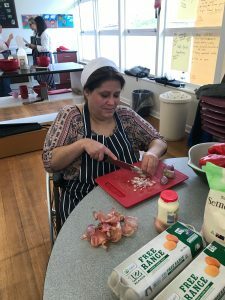 During a specific coaching session on the Kitchen Challenge program, participant Jenny Willis, took a stand and a step towards achieving her goal. Jenny, who cares for her 22 year old son Daniel, has launched the campaign “Van for Dan” to raise $90,000 to help pay for a modified van with an adult bed inside and enough room to allow her to change him. This will allow Dan and Jenny to live a more adventuours life, that not only will allow Dan to go beyond the backyard, but assist in providing the stimulation Dan needs to continue to improve his cognitive ability. Jenny has thanked the Kitchen Challenge team and Cohort 2 for the support she has received in launching this campaign. If you’d like to know more or donate to the “Van for Dan” campaign visit: www.gofundme.com/vanfordan. Fish Day: Jenny Willis with a slimy salmon. Moving out of the comfort zone with sensory experiences.